Photo courtesy of Sarah Jane's Craft Blog. Here is another easy craft using alcohol ink. 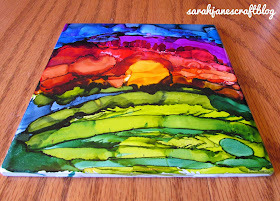 Check out Sarah Jane's tutorial on making Alcohol Ink Trivets.